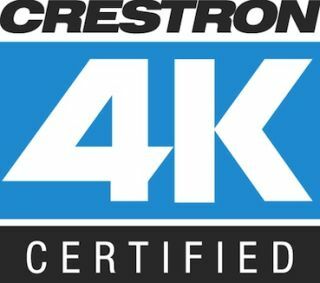 To “help facilitate a smooth transition to 4K UHD,” Crestron has introduced a 4K certification program for manufacturers. Participants in the new initiative will submit their 4K sources and displays to Crestron to ensure that they deliver true 10 Gbit/s data rates to get the signal to its destination, interface with Crestron’s DigitalMedia to handle cable lengths found in integrated AV systems, and work with other 4K products in a DigitalMedia system. Crestron engineers in the DigitalMedia Lab test 4K products to ensure they work in a matrix-switched environment. Only those that do then are awarded the Crestron 4K Certified logo.